Exterior Cleaning Residential Properties | Hydro-Clean Services, Inc. 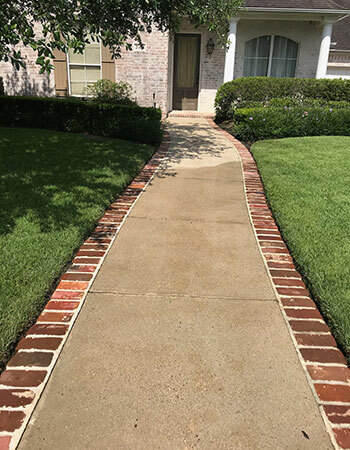 Exterior Cleaning Residential Properties | Hydro-Clean Services, Inc.
Have you been considering sprucing up the exterior surfaces and areas of your residential property? If so, Hydro-Clean, Services Inc. would like to be of service. We offer a wide variety of pressure washing services for residential properties. Our rates are very affordable, our staff is highly-skilled, our equipment is high-functioning, and our wish to improve the appearance of your exterior surfaces is completely solid. We take great pride in providing superior services and making our residential customers happy with the results. Pressure washing residential services may include a variety of textures and surfaces. Services that we provide include, but are not limited to, the following; exterior home care, driveways, sidewalks, patios, porches, fences, decks, and roofs. 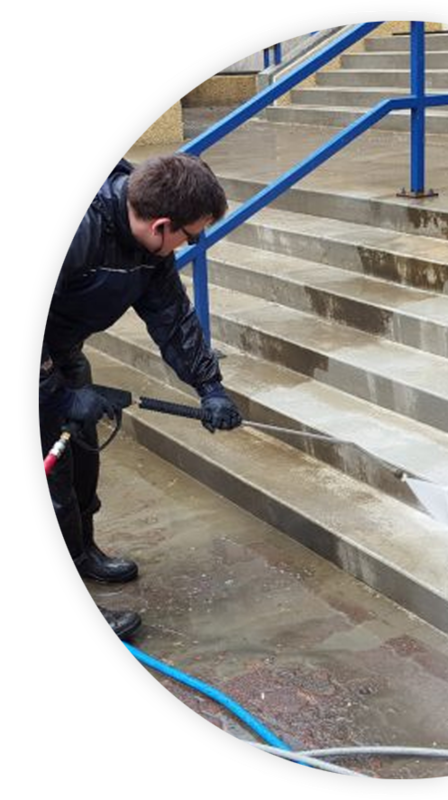 We are certainly experts in all type of concrete cleaning services. 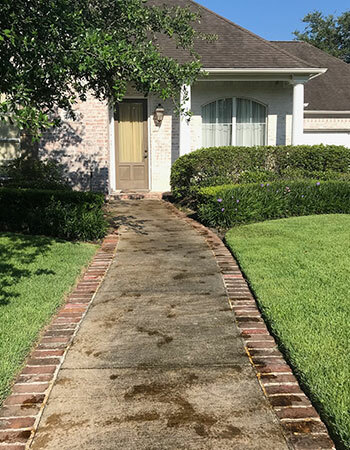 Pressure washing the exterior areas of your property is one of the easiest things that you can do in order to obtain a beautiful environment, as well as provide a healthy place for you and your family to live. Proper pressure washing removes even the smallest of nuisances that you may not be able to see with the naked eye, such as; mold, algae, mildew, pollen, dirt, and grime. When substances like these are removed, not only will your property look cleaner, but it will actually improve the physical environment of your landscape, too. Most professionals suggest that exterior hard surfaces should be pressure washed on a regular schedule, preferably once or twice a year. Hydro-Clean Services, Inc. aims to be your long-term exterior company for both residential and commercial cleaning. We hope that we can be at your service time and time again. We strive for excellence, high-quality customer service, and fine, noticeable results. Our staff members are fully trained and insured, so we can help you with confidence for any project that you have for us. You can trust Hydro-Clean Services, Inc. to take good care of your home and its’ surroundings every single time.